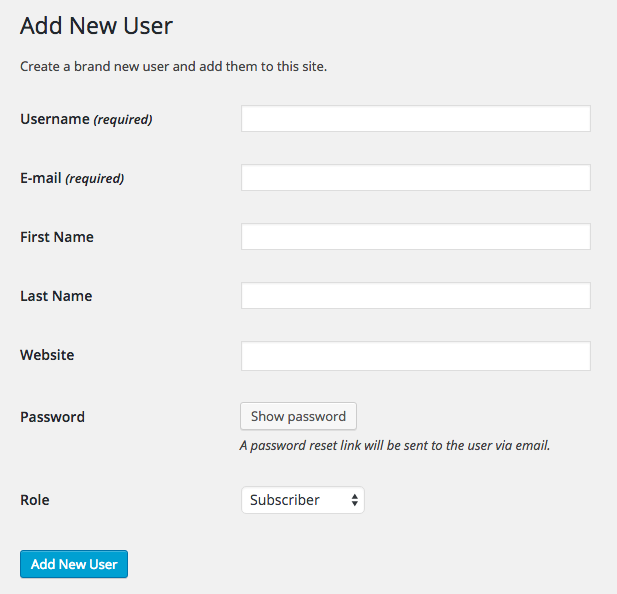 To set up a user account visit Users > Add New from your WordPress dashboard. Enter the required information and assign the user account the desired role. For more information on user roles and what they're able to do within ProjectHuddle please visit the article A Guide to Permissions.